The President’s Society honors and recognizes Clarke University’s most generous alumni, friends and organizations. Our members are essential in helping Clarke achieve new levels of excellence. They help fund endowments, scholarships, academic programs, facility enhancements, technology and many other critical needs. Membership in the President’s Society is the most visible and distinguished donor recognition offered by Clarke University. Members receive exclusive updates, invitations and recognition in the annual Year in Review. Additionally, new members and those who have reached increased levels of support receive public recognition at the President’s Donor Gala. 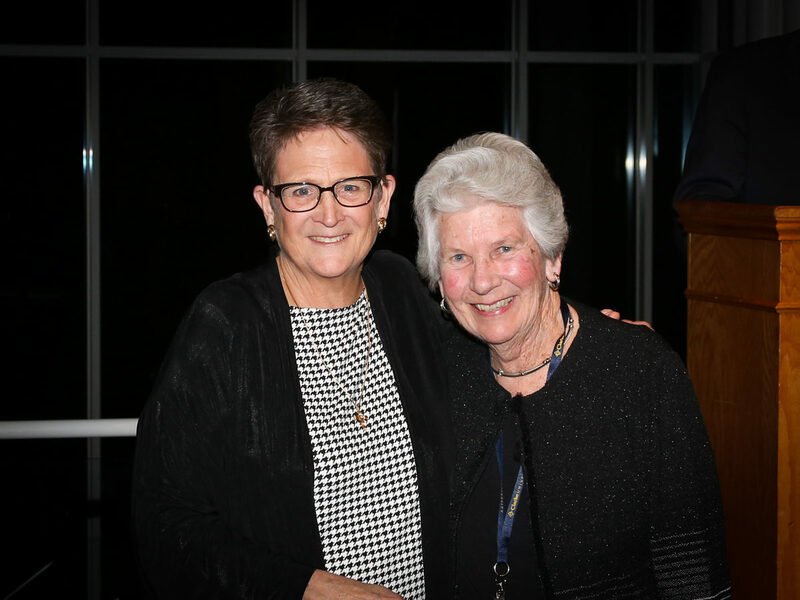 Sister Joanne Burrows with President’s Society Member Mary Schmid at the 2018 Donor Gala Celebration.